Legendary hard rockers Stryper will continue making albums and touring despite the band’s recent announcement that they will “take a hiatus” in early 2017. 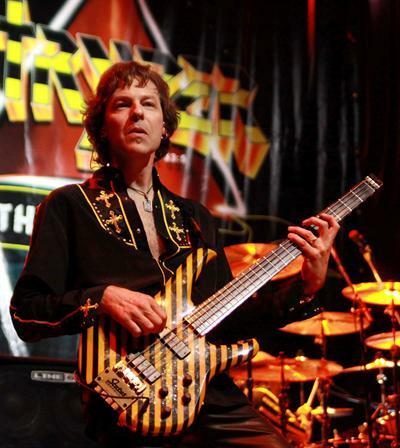 Sweet also talked about whether it’s likely that Stryper will carry on without bassist Tim Gaines, whose “personal matters” were previously revealed to be the reason for the band’s hiatus plans. Tim Gaines (Stryper) has has signed with Overture Guitars! Overture will be building the new TG Signature model basses which will be played at all 2012 Stryper performances. The TG Signature line will be made of custom yellow and black exotic woods, and will be unveiled later this year. Overture will also be making the TG Signature bass model available for purchase to the general public.